Invest Openly: Would The Car-Free Nights At Orchard Road Bring More Buzz To The Nearby Retail Shops? 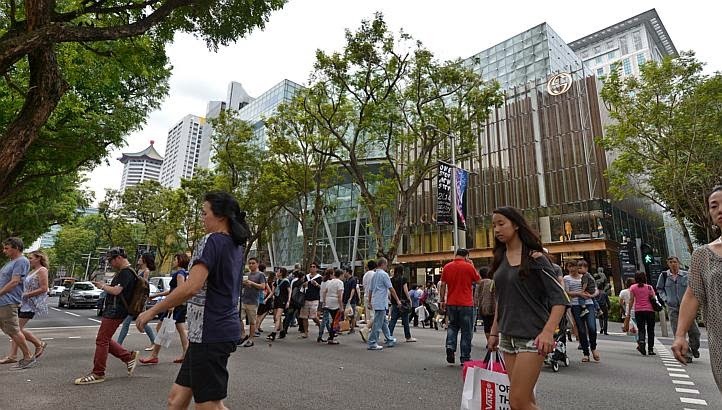 Would The Car-Free Nights At Orchard Road Bring More Buzz To The Nearby Retail Shops? If you have not already know, comes next Saturday, Singapore's busiest shopping strip will go car-free for a few hours. To be specific, on 4th Oct 2014 (Saturday) from 6 PM to 11 PM, the road from Ion Orchard to Ngee Ann City will be car-free zone and pedestrians are free to roam around the street (like their grandfather's road ;-)). This is a six-months trial campaign organised by The Orchard Road Business Association (Orba) and that stretch of road will gone car-free on every first Saturday of the month for the next 6 months. The main objective is to bring more buzz to the already busy Orchard Road. Personally, I quite like the feeling of roaming freely on the main road (this reminded me when it happened many years back during the road closure on the eve of Christmas and New Year). Also, I foresee that this campaign will be a success and the business of the nearby retailers will be the main beneficiaries. Hopefully the haze or humidity doesn't spoil the nights so much and I will drop by one of these Saturdays to rekindle with the memories once again. It feels a bit like in overseas where you can roam around a busy street after peak.hours. I definitely like the idea as well but hope it wont cause a congestion when going home.